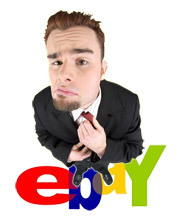 More than a week after eBay announced its spring seller update for 2010, many online merchants are still digesting the news and trying to make sense of how it will impact their businesses. Major changes on the site will include adjustments to the fee structure on March 30 and phasing out the Store Inventory Format. Some fee changes will be significant. For instance, optional listing upgrades, like subtitles, for sellers who list items in the Store Inventory Format will jump from 2 cents to at least $1.50—the current rate for subtitles on standard fixed-priced listings. That's because items in the Store Inventory Format will be displayed as fixed priced starting March 30. But fees aren't all that will change on eBay this spring. Sellers on eBay Motors should also be aware that eBay will begin enforcing the return policy and handling time requirement announced last year. If getting a grasp on how you'll be affected by the impending changes is making your head spin, that's understandable. Adjusting to it all will take some time—and some number crunching—but here you'll find a few tools and tips you can enlist to make the transition easier. With the new listing fees and the end of Store Inventory Format, finding the right path for your business will take some diligent research. How will your fees changes at the end of March? Will you pay more or less? Should you make adjustments to what you sell, or the format you list in? Should you opt for a store subscription? These are all good questions. And while it's hard for us to say exactly what you should do, we'll show you how to go about finding the answers—and how you could lower your fees in the process. A good first step when you begin calculating your new fees is to review what you paid in fees over the last couple of months, says Auctiva Product Analyst Rebecca Miller. "Compare the insertion fees and final value fees you paid," she suggests. "Note any upgrades or other fees you paid (store subscription fee, listing subtitle, etc.)." Then start crunching the numbers using eBay's new fee structure. You'll have to keep several things in mind as you do this. First of all, the listing format will be very important to note. Remember that starting March 30, eBay will allow sellers to list their first 100 auctions for free if they start at less than $1. So if you sell items that lend themselves to either fixed-priced or auction format, consider listing them as auctions to reduce your insertion fees. But make sure 99-cent, no reserve auctions make sense for your business. The free pricing doesn't apply to listings with a reserve price. Also note the category you list in. Final value fees for fixed-priced items vary greatly depending on the category, from 2 percent of the sale price to 15 percent. Store subscriptions will also affect your monthly fees and range from $15.95 to $299.95. And if you're a Top-rated seller or PowerSeller, don't forget factor in any discounts you normally get for maintaining high DSRs. eBay's Fee Illustrator can help you get a handle on what you'll likely pay when the new structure takes effect. But be aware that the calculator doesn't account for all possible expenses. For instance, do your listings contain subtitles? If they do, you'll have to add the cost of these manually to the total you get from the Fee Illustrator since the calculator assumes you don't use these. The calculator also assumes that your auctions have a starting price of 99 cents or less since you get the first 100 for free, so calculate these fees separately if your auctions begin at $1 or more. Keeping this in mind, you might decide to reduce your fees by lowering the start price of your auctions to 99 cents. If you list hundreds of items, this task may seem overwhelming, but it doesn't have to be, especially if you're a user of Auctiva's tools for eBay sellers. The software offers several approaches to edit multiple listings at once. Bulk Edit: Auctiva's Bulk Edit feature allows you to change the start price of up to 100 saved listings at once—a real time saver for anyone. Think of all the other tasks you could accomplish in the time it would take to do this manually. For instance, you could update your checkout details—something eBay Motor sellers should do in the coming weeks. Remember, come June, eBay will be on the lookout for listings on that site that don't include a handling and return policy. Auctiva Find & Replace: Luckily, Auctiva's Find & Replace is a handy tool you can use to quickly and easily specify return policies and handling times. (As we've mentioned in previous articles, this requirement doesn't mean you'll have to accept returns, but you will have to let buyers know what your policy is, one way or the other.) This tool is located in Auctiva customers' Saved Listings page and allows users to edit up to 100 listings at once. Sellers should also think back to any listing upgrades they've added to their listings, such as subtitles. With eBay's Store Inventory Format being eliminated, the subtitle feature will now cost at least $1.50 per listing, and you'll have to consider if the additional cost is worth it to you. If it isn't, the Find & Replace feature will let you edit or delete subtitles for multiple listings at once. Bulk Live-Listing Revision: Active listings can also be updated right from sellers' Auctiva accounts. Add, remove or change information, such as subtitles and return policies, from live eBay listings using Auctiva's Bulk Live-Listing Revision Tool. This tool is located in Auctiva customers' Active Listings page and allows up to 100 listings to be edited at a time. Scheduling: But those aren't the only ways you can help your bottom line. If you schedule your listings, consider doing it through Auctiva, since it won't cost you extra. On eBay you'll pay 10 cents a listing for this convenience—$1 if you list on eBay Motors—but this feature is free when you're on one of Auctiva's listing plans. You can also post more than 24 photos with your listings, and get free Supersizing and image security features using Auctiva's tools. It's natural to feel apprehensive about how the upcoming changes will impact your bottom line. But hopefully now you feel better prepared to tackle what's ahead. March 30 will be here before you know it, so take the horse by the reins and start making the necessary adjustments to your listings. Auctiva's "bulk edit" does not work if "inventory" is enabled. How would one go about "disabling inventory" temporarily, to be able to "bulk edit"?? I can't find the Motors category when I try to list in this area when I use Auctiva to list my merchandise. How do I list in Motors using Autivia? So disgusted I can hardly stand it. Have been working to make my ebay business profitable for 4 years. Am disabled and have limited other options to make money. 9 billion profit for ebay nothing for me, because every time I start to make anything, they change the rules and I spend weeks reworking everything. Auctiva fees didn't help either, but I understand it mus cost money for them to keep up with ebay changes too! Trouble proceeds from the mouth. 'Garden' encourages collaboration between users and developers. Tool helps users quickly create complex eBay listings. Excitement was palpable as eBay kicked off its 2010 local events in Atlanta. Do You Know the Way to eBay Stores? eBay will remove Stores tab from its navigation bar. Auctiva will support new requirement, which takes effect in July. Dallas seller extravaganza was a red carpet affair. Fall release elements resemble pages from Auctiva's playbook. Each sales approach brings its own potential benefits.